The Chicagoland area has seen an abundance of craft producers open their doors over the last several years, but only a handful of cideries, six in Illinois total, are dedicated solely to brewing and serving hard ciders. Now Naperville has one to call their own in 2 Fools Cider, started by Jeremy Smith and Monte Summers. 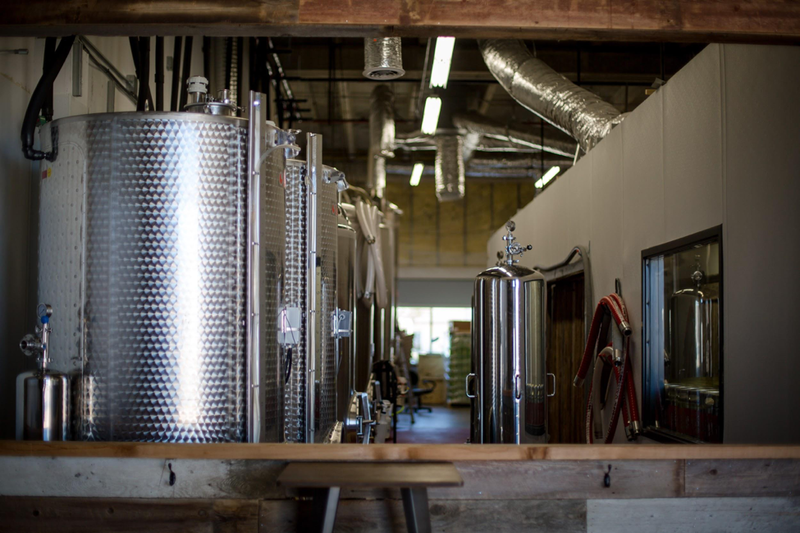 The two long-time friends have been making cider as a hobby for years and eventually opted to turn it into a profession, opening the production facility complete with an industrial, yet cozy tasting room in December 2016. The space is inviting and bright, complete with wooden barn doors and metal accents as a way to pay homage to both the the industrial and rustic aspects of farmers and orchardists. 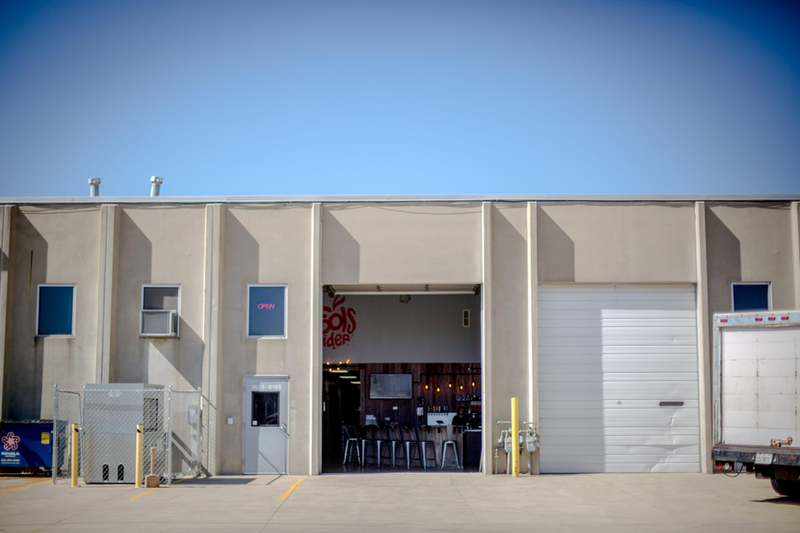 Similar to a brewery, you’re treated to the sights of bright and polished stainless steel fermenters, sliding wooden barn doors and a bar area complete with two cider slushy machines. 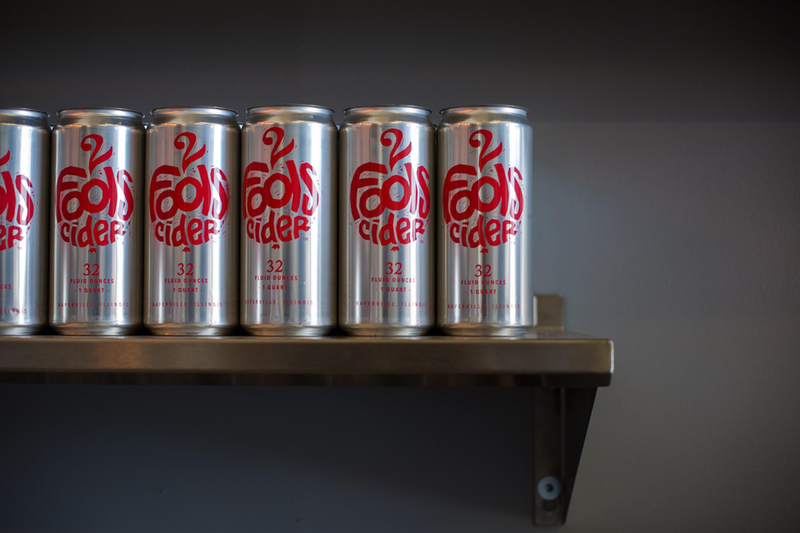 The ciders offered at 2 Fools aren’t your typical, mass-produced ciders. Smith and Summers wanted to bring a more nuanced approach to their ciders, creating recipes using apples carefully sourced from Michigan to produce well-balanced, thoughtful flavor profiles with creative twists. There truly is something for everyone whether you’re a beer lover, wine enthusiast, or just love a good cider. There are two variations that use hop additions in their English dry cider simply called “Hopped” and a pineapple themed variety called “Pinehopple” certain to get the attention of even the most discerning hop head. 2 Fools also offers a take on rose wine, with their Rose cider, pouring true to it’s name with a pinkish hue and tangy, dry flavor. For those who love fruity flavors, they offer two blueberry variants of cider, one of which is served via nitro, for a creamy and colorful pour that’s easy drinking and the other a prickly pour that stays tart and dry. 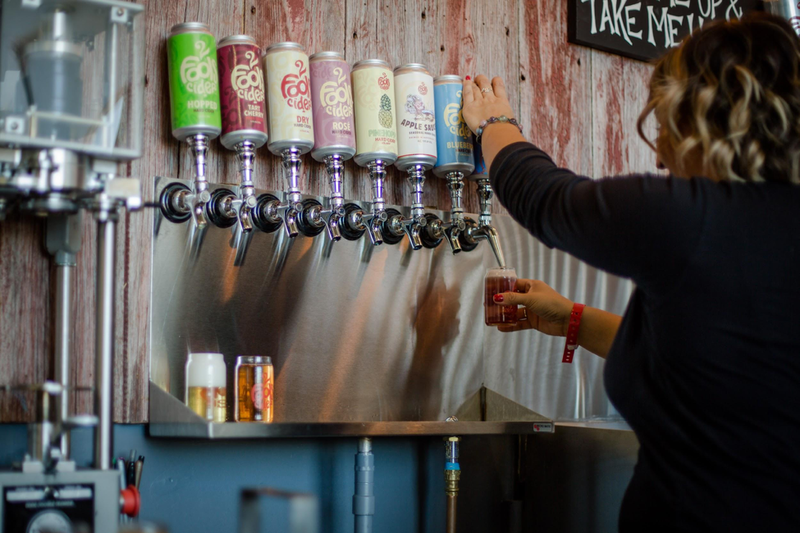 Don’t forget about that slushy machine, churning two flavors: their tart cherry cider in frozen form and the Manzana Coolada, 2 Fools takes on the Pina Colada in cider form. With so many offerings the tasting room has made it easy to sample them all. You can try a small taster, a full 16 oz. pour or sample a selection of the ciders on tap in a flight. They also offer a lot of take home options in the form of crowlers, four-pack of 16 oz. cans and growler fills. If a trip to Naperville isn’t in your near future, make it a point to visit 2 Fools Cider at BeerHoptacular on November 4th. You’d be a fool not to! BeerHoptacular is a celebration of American craft beer, Chicago beer culture and good (mostly) clean fun. On Saturday, September 22, 2018the eight annual BeerHoptacular returns with more beer, more attitude and more… other stuff. What other stuff? In addition to over 150 craft beers, we’ll have some of Chicago’s favorite food trucks, the annual BeerHoptacular Homebrew Competition, a DJ spinning all your favorites, a beer infusion lounge, a live photo booth and much more. BeerHoptacular will take place at Vertiport Chicago. Located on the west side of downtown Chicago, Vertiport is a 30,000 sq ft helicopter hangar. That's right, BeerHoptacular will take place inside a helicopter hanger. Stephanie is a writer and photographer focused on Midwestern beer. She found her way to Chicago from Northern Wisconsin. When not hiding behind a camera lens or hunched over a laptop she often finds herself on the back stairwell of her apartment building, drinking with her cat.